It’s about to be the most wonderful time of the year y’all…THE NORDSTROM ANNIVERSARY SALE! Did you really think I was going to say Christmas?! Nope, however this sale is right up there with it! Nordstrom has a massive sale every year and it is unbelievable! Think allllll the fall/winter things that you need but aren’t ready to pay full price! It’s seriously Nordstrom’s biggest sale and things go fast, like lightning fast so I want to give all of you a heads up because you’re going to want to shop this sale! Ok, so first a little background info. The Nordstrom Anniversary Sale only comes around once a year. Nordstrom takes all of their new fall inventory and slashes the prices up to 40% before it’s released at full price! How amazing right? See most sales are like the left over things that haven’t sold for the current season but not this one. You can get the latest & greatest right when they hit the market for a fraction of the price! So I’m going to break it down here for you guys so you can all be prepared to get everything you need want!! There is everything from beauty, fall boots, winter coats etc! It’s one of those sales that you start saving for and then just hit the motherload of all the goodness! This is for Nordstrom card holders! Apply here, and if approved you can receive a $20 Nordstrom Note for your next purchase if you apply before July 9th! If you do not have EARLY ACCESS you will be able to start shopping on July 21st! So don’t panic you will still have plenty of time to shop it but if you are really wanting to get all the amazing deals and the favorite must-have items that will be hot, hot hot, then I suggest getting the Nordstrom card NOW! I want all of you to have a great experience shopping this sale so please message me for any sale questions! I will be happy to direct you and help you get what you want! You can browse through the Nordstrom Anniversary Sale Catalogue below! If you don’t live near a Nordstrom, have no fear (I’m 500 miles from one) Nordstrom offers FREE shipping AND FREE returns, so it’s better to buy it now, try on at home and just send it back with the prepaid label if you don’t love it! Checkout fast…Do NOT expect to put stuff in your cart and think about it…listen here….IT WILL BE GONE! So if you love love love it, #CHECKOUT! Make sure you are amped up & ready to shop your little hearts out! And don’t feel bad for spending money just think about all the money you are SAVINGGGGGG!! ha! 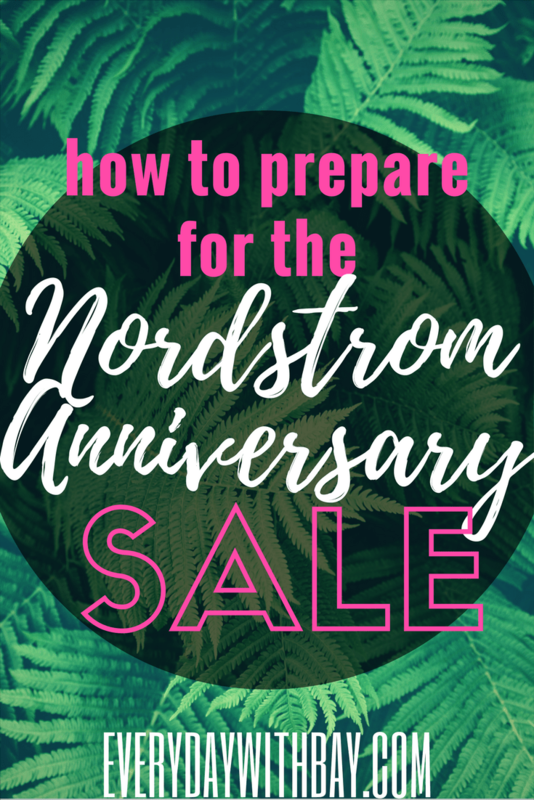 I am so excited to be helping y’all with the first Nordstrom Anniversary Sale since I took my blog to a different space! I hope you will check back often here to find my favorite picks PLUS a huge giveaway is in the works and follow me on Instagram as I will be posting my favorite finds in try on sessions etc! 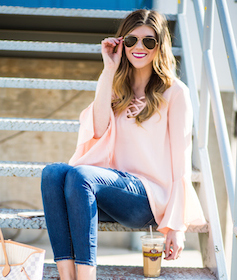 I’ll leave you with my current sale favorites from Nordstrom!